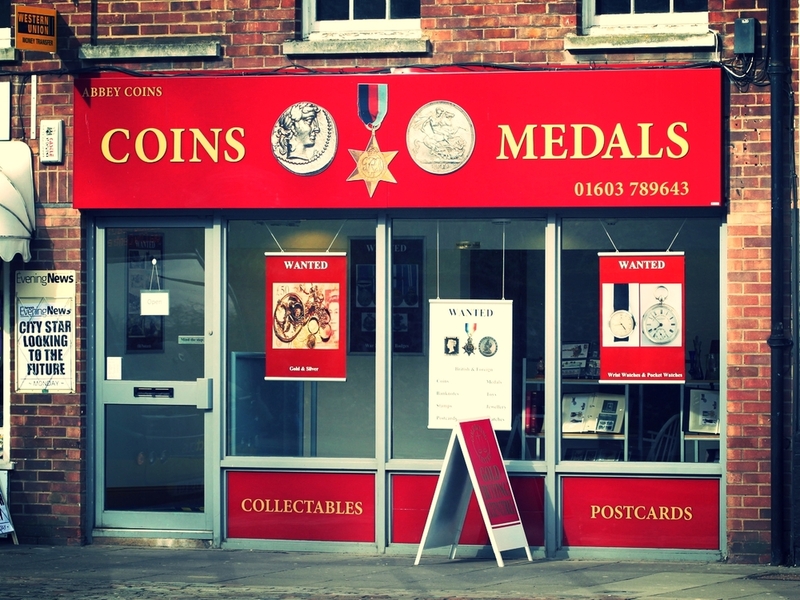 We buy British and Foreign Coins, Banknotes, Medals & Medallions, Stamps, Tokens, Postcards, Cigarette cards, Gold & Silver Jewellery, Watches & Clocks, Old Toys and the list goes on. Please call us and we will be pleased to help. Conveniently located in the heart of Norwich city centre, we are 3 minutes walk from Castle Mall Shopping Centre and Norwich Castle Museum. Castle Meadow is on the route of most buses through the city.